The Irish Government has agreed to massively reduce the amount of religious selection in pupil admissions at primary schools. It has tabled amendments to a school admissions Bill which, if passed, will prevent all state funded primary Catholic schools from selecting pupils on religious grounds. It follows a consultation that the Government held on faith school admissions last year. Catholic schools currently comprise of about 90% of state funded primary schools in Ireland. Of the remaining 10% of schools, half are run by minority faith groups. Under the Government’s plan, minority faith schools will still be able to select pupils by faith when oversubscribed, but the change to Catholic schools means that the vast majority of primary schools will no longer be able to select in this way. Chair of the Accord Coalition, the Reverend Stephen Terry, said ‘Ireland and the UK are two of only a small number of developed countries that allow state funded faith schools to religiously select pupils. However, contrast between the two countries is becoming more stark. 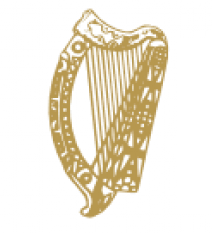 The Irish Government’s move further undermines a key justification that the UK Government has put forward for helping open more fully discriminatory schools. Announcing and explaining its approach last Friday, the UK Government stated that inhibitions on faith schools discriminating in pupil admissions meant that some faith groups, including Catholic authorities, felt unable to open any new schools. Many UK commentators have noted there are no religious rules preventing Catholic authorities from running non-selective schools and have criticised government for accepting at face value claims that there are. Writing for the London School of Economics in 2016, national sociology of religion expert, Professor Linda Woodhead, noted ‘there is in fact no such canon. It’s the subtlety and openness of canon law on this matter which allows the Catholic Church across the world to operate in a wide variety of educational and legal situations with maximum flexibility‘. She urged that ‘more critical discernment is urgently needed’ by government. A 2012 study by the Organisation for Economic Co-operation and Development (OECD) showed that the UK was one of only a very few number of OECD member countries that permit religious selection at state schools (table 2.3 p15). Research by the Accord supported group, the Fair Admissions Campaign (FAC), reinforces this finding. The OECD identifies the Republic of Ireland, Estonia and Israel as having religiously selective state-funded schools. In some Canadian provinces there are publicly funded Catholic schools that can refuse admission to non-Catholics before high school. The FAC is also aware that in Germany, a small number of private religious schools receive state funds and can religiously select. In the Netherlands, private faith schools that receive state funding can loosely require pupils and parents to support the mission/vision of the school. But the FAC and Accord are not aware of any other countries. Countries with strong religious traditions, such as Italy, Spain, the USA and Poland, do not have religious discrimination in admissions to any state-funded schools. The ability for Catholic schools to operate an inclusive admissions policy is further demonstrated by most private Catholic schools in England and Wales not selecting pupils on faith grounds. An Accord commissioned opinion poll in 2016 found 63% of British Catholics did not support state funded schools selecting pupils by faith.